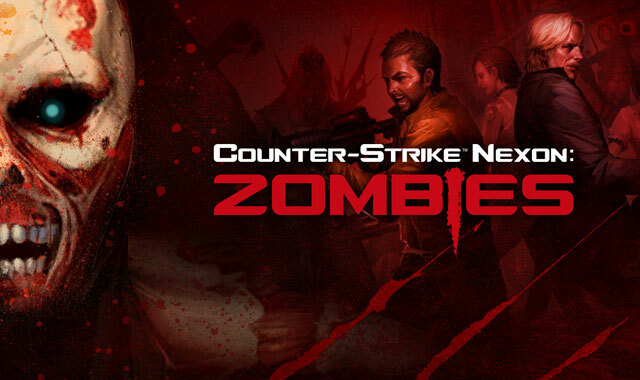 Nexon Europe is pleased to announce that the hugely popular competitive shooter Counter-Strike Nexon: Zombies will receive a wealth of new content in a brand new update, further intensifying the fun. Starting 5th November, players can choose from two new Zombie Classes, Deimos and Ganymede, and receive valuable items by participating in the Daily Login Event. Deimos, the first of two new zombie classes, is an advanced AI-controlled zombie type available in Zombie Scenario mode. It can emit a ‘Shock’ wave-like attack that can forcefully strip a targeted human’s primary or secondary weapon. While the aforementioned Ganymede has the same speed and strength as Deimos, the pair differ dramatically in the skill department. Ganymede has the ability to ‘Rush’ towards any human opponent, temporarily becoming very difficult to knock back; a particularly useful technique when hunting the human enemy. In addition to the new zombie classes, players will be able to try their luck in the Mass Weapon Give Out Event, a revolutionary new way for players to earn in-game items. During the event, players will receive a random letter of the alphabet for every kill, and those letters can be used to unlock keywords in the Mass Weapon Give Out table. By unlocking each keyword, players can receive different items that range from diverse weapons to the best quality Blueprints and Durables. To play the game for free, just head to the Steam page at https://store.steampowered.com/app/273110. The ultra-fast MMORPG Felspire is slated to officially launch Friday August 7th at 9AM EDT.